Racing nostalgia returns to the historic Garrison Savannah today when Trinidadian-born, Canadian-based two-time Sovereign Award-winning jockey Emile Ramsammy takes to the saddle. 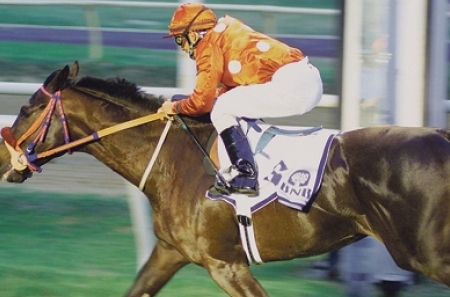 Ramsammy, who is no stranger to the Garrison, has piloted Frisky Wharf (1985), Stangrave Park (1987) and Call To Account (1988) to victory in what was then the Cockspur Gold Cup. 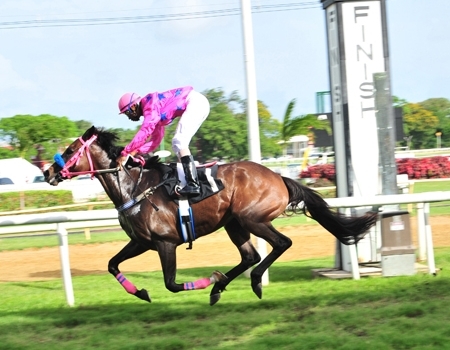 Ramsammy, who was recently honoured in Trinidad and Tobago, comes here in riveting form, having scored three victories last Saturday at Santa Rosa Park in the US$650 000 Caribbean Nations Racing Challenge. 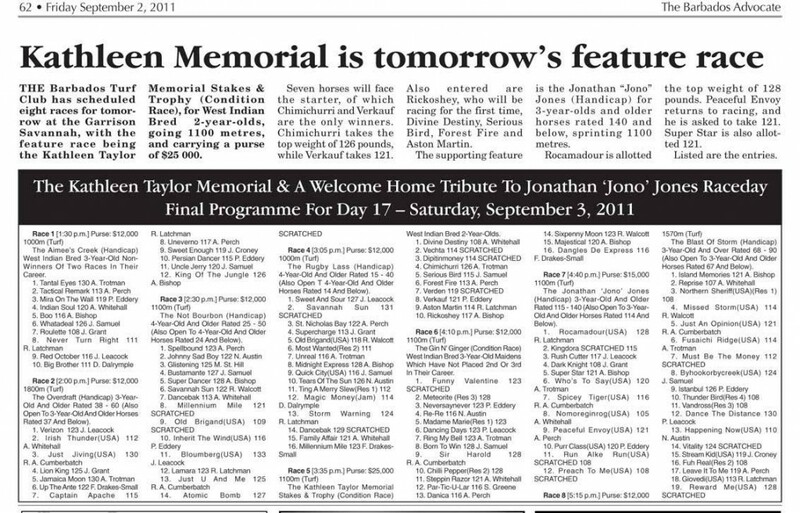 He will partner Atomic Bomb, Finbar, and speedy Must Be The Money in Races 2, 7 and 8. The afternoon highlight will see the juveniles in action when colts and geldings will compete in Race 5: the Diamonds International/Mont Blanc Meisterstuck Stakes & Trophy for West Indian-bred two-year-olds over 1 000 metres. 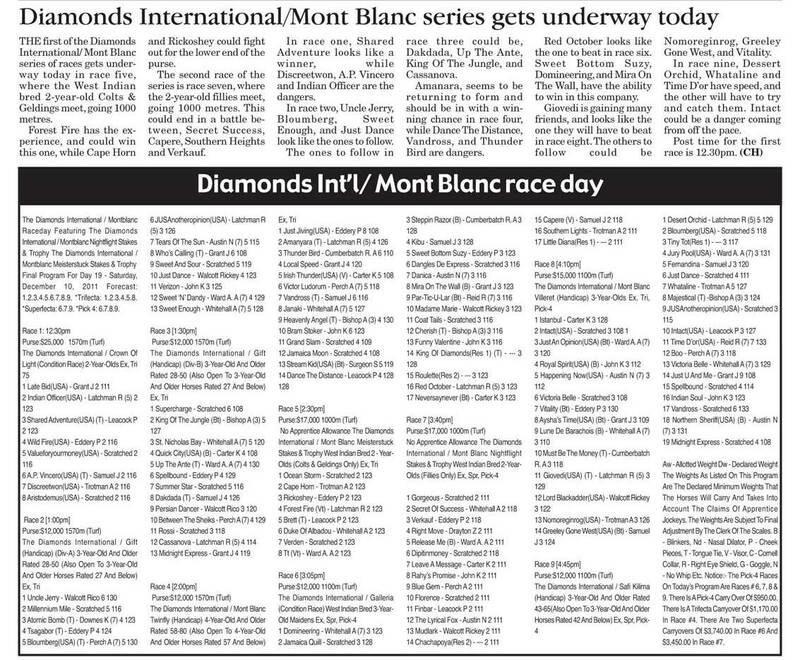 The second half of the feature – the Diamonds International/Mont Blanc Nightflight Stakes & Trophy for West Indian bred two-year-old fillies – will see three former winners fighting it out. The order in which they won is Capere, Verkauf and Secret Of Success, and the winner is likely to come from among them in a race which is likely to go right down to the wire. Blue Diamond Stable-owned Verkauf trotted home in the R.L. Seale & Company Limited Trophy Allotted Weights for two-year-old maidens over 1 100 metres. In that race she left Secret Of Success in her wake. 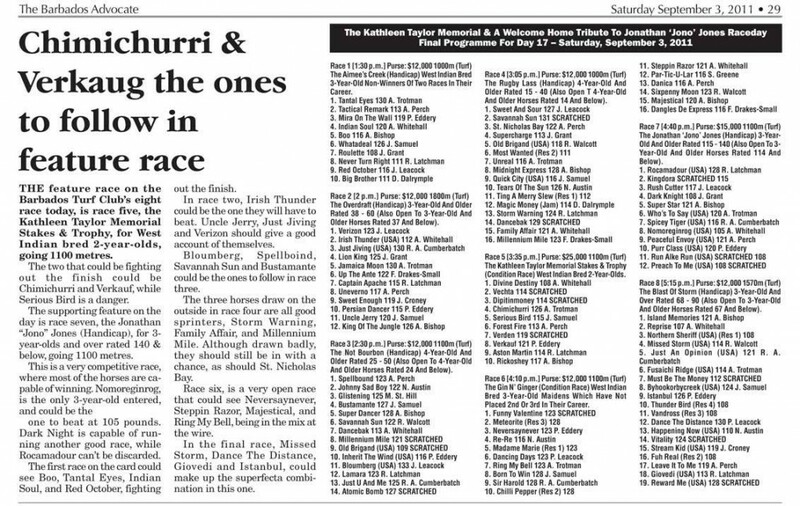 Verkauf was then fourth in the Kathleen Taylor Memorial Condition race over 1 100 metres. She is the one they will all have to beat. Diana Jones-owned Secret Of Success, when scoring in the Kingdora Condition race for two-year-olds over 1 100 metres, simply ran past the field that included Release Me and Southern Lights. While they didn’t offer much competition, it was one of the most impressive two-year-old victories. She stands another excellent chance for repeat success. Raphael Greene-owned Capere won the Kabul Allotted Weights race over 1 100 metres. On that occasion one of her victims was Secret Of Success. While Capere has not revisited the winner’s enclosure, she has been consistent and will want to prove she is amongst the best fillies. However, the outside draw does not help. 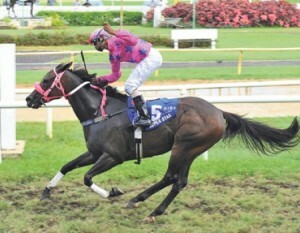 Trainer Andrew Nunes will send out Southern Lights who has three starts against her name. After placing third in her first outing, Southern Lights made a feeble attempt at running her opposition into the ground. Her connections will be looking for a much improved performance despite the outside berth. Release Me, Leave A Message, Rahy Promise and Mudlark will all look to improve on their dismal showing to date, while first-time starters Finbar, Lyrical Fox and Right Move will all seek to create a favourable impression. JOCKEY Reshawn Latchman stole the spotlight on an entertaining ninth Barbados Turf Club’s race day at the Garrison Savannah yesterday. After jockey Jalon Samuel started in a blaze of glory, recording one of three hat-tricks by winning the first three races, Latchman rose to the occasion. Enjoying easily the best day of his life in the saddle, Latchman showed some of the skills he honed while based at the Woodbine race course in Canada with three magnificent masterpieces. It all began when he took the eighth running of the feature Kathleen Taylor Memorial Stakes and Trophy Condition Race for West Indian-bred two-year-olds over 1 100 metres aboard the Mark Armstrong-owned Aston Martin. The Victor Cheeseman-trained colt was settled off the pace set by VerKauf, Rickoshey and Chimichurri. As the field approached the home turn with the leaders tiring, Latchman then asked his charge Aston Martin for more effort, which saw them cruise to the finish line a comfortable 1 ¼ lengths winner. Divine Destiny, with Antonio Whitehall in the irons, came from far back to take second, with Chimichurri, ridden by Anderson Trotman, taking third while the early leader Verkauf faded to be fourth under Paul Eddery. Latchman gave further glimpses of his immense talent with a masterful pole-to-pole win on the Melrose and Clifton Racing-owned bay horse Rocamadour. They made light work of the opposition, taking the supporting feature, the Jonathan “Jono” Jones Handicap for three-year-olds and older horses rated 115-140 and for horses rated 114 and below over 1 100 metres. Once the son of Black Mambo-Willa left the gates, the issue was beyond doubt. Second was the consistent Purr Class under Eddery. Stablemate Rush Cutter, partnered by Jason Leacock, was third and Dark Knight with Jonathan Grant astride was fourth. Latchman closed out the afternoon proceedings with another gem of a ride, this time aboard Giovedi in the Blast Of Storm Handicap over 1 570 metres. The Bill and Haley Blevin-owned colt put the icing on the cake for trainer Jonathan Simpson, who continues to hold his own taking training honours as he and jockey Latchman combined to record the afternoon’s second and third hat-tricks of the card. Simpson had earlier combined in the first race with jockey Samuel aboard Whatadeal for owner Angela Simpson as the trio took the Aimee’s Creek Handicap for West Indian-bred three-year-old non-winners of two races in their career over 1 000 metres. Samuel then took the second race, producing Attie Joseph III and Saffie Joseph Jnr-owned Uncle Jerry with a well orchestrated ride to win the Overdraft Handicap over 1 800 metres. Those wins were immediately followed by victory in the Not Bourbon Handicap over 1 800 metres astride Bustamante. That race was a bittersweet moment for owner Sir Charles Williams and trainer Andrew Nunes as their chestnut gelding broke a leg after turning in his maiden victory. It took a superstar to brighten up things at the Garrison Savannah yesterday. 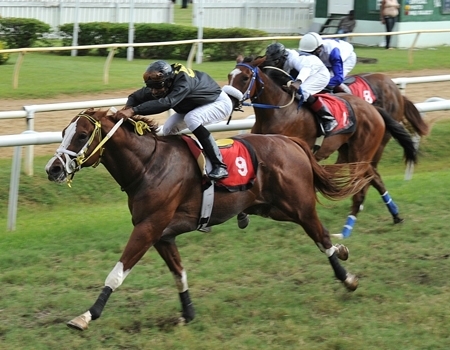 With the inclement weather adversely affecting virtually every sport across Barbados, it was the Sport of Kings that held centre stage at the eighth day of the Barbados Turf Club’s second racing season. Superstar, beautifully ridden by Antonio Bishop, won the feature BTBA Sprint Stakes and Trophy ahead of Vitality, with Antonio Whitehall aboard, in front of an appreciative crowd that had the last laugh on a grey, rainy day due to the effects of a tropical wave affecting the island. The well grassed turf at the Savannah was a beauty to behold, and with cricketers sitting around in pavilions as their matches were rained out or severely delayed, the stewards at the Garrison never even had to make a cautionary inspection. In this Kenmore Bynoe photo, Superstar is powering to victory ahead of Vitality yesterday.